“I’d been a couple of steps away at the last Grand Slam, so I’m definitely not ahead of myself,” said Williams, who fell to Angelique Kerber in the Wimbledon final in July. “Shocking, my first top-10 win,” said Williams, who will face Anastasija Sevastova for the first time for a place in the final after the 19th seeded Latvian knocked out defending champion Sloane Stephens, the world number three. The departures of Stephens and Pliskova left Keys and Williams — seeded 17th despite her world 26 ranking — as the highest seeds remaining in the women’s draw. Keys, runner-up to Stephens last year, returned to the last four with a 6-4, 6-3 victory over Spain’s Carla Suarez Navarro. She’ll face 20-year-old Naomi Osaka, who became the first Japanese woman in 22 years to reach a Grand Slam semi-final with a 6-1, 6-1 victory over Lesia Tsurenko. Pliskova, who seized the world number one ranking herself briefly last year, said that even though Williams is still rebuilding her world ranking, she’s playing more like her old number one self than a number 17. 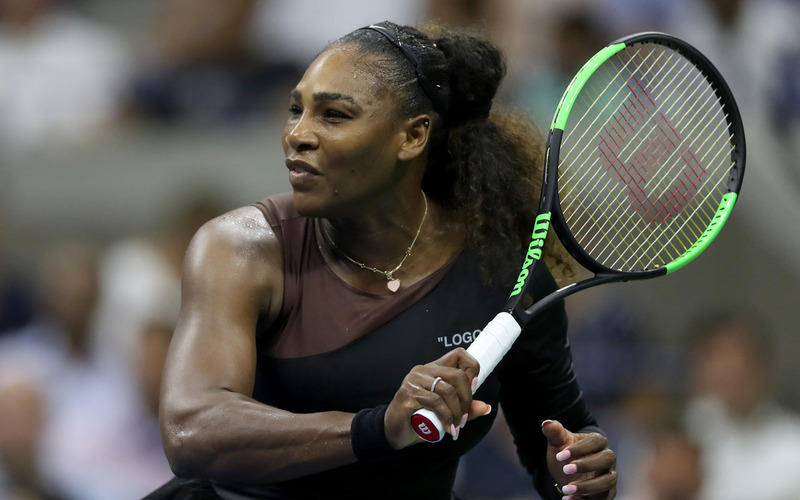 That’s good news for the 36-year-old Williams as she vies for a title that would see her break out of a tie with Chris Evert for most US Open victories and equal Australian Margaret Court’s all-time record of 24 major titles. While she says she doesn’t feel pressure, she admits that she savors every opportunity more now.